I made these Pear Croissants for our New Year’s Day celebration, and it was a hit! It was my first time making (and using) puff pastry, and it wasn’t too hard at all. I chilled my dough overnight and in the morning it came out very hard. So when you chill it, make sure you give it time to come to room temperature so it can be easily rolled out. Allow to cream cheese to come to room temperature, then mix in the honey. 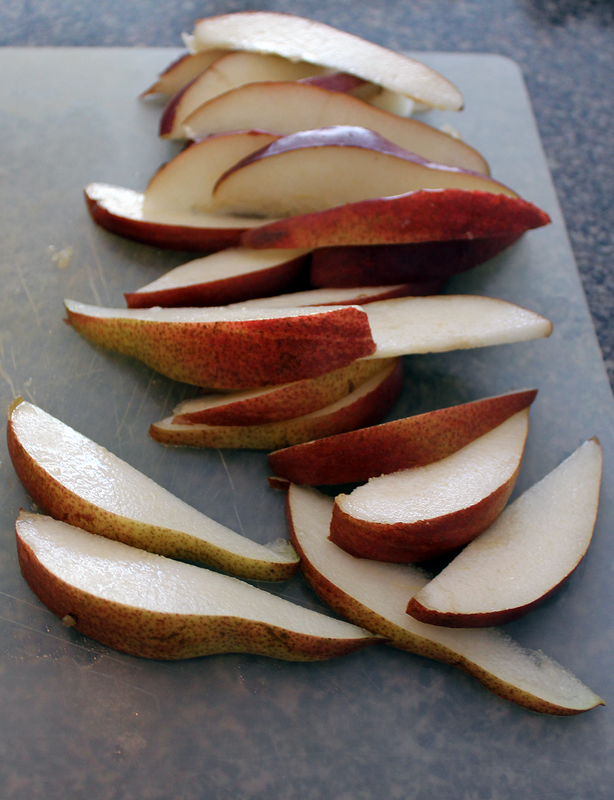 Wash the pears and slice them into wedges. Line two baking sheets with parchment paper, and place 6 puff pastry squares on each. Spread about a tablespoon's worth of the spread diagonally down the center of each square. Place two pear wedges on top of the spread. Fold in the 2 corners on either side of the pears and pinch them together. Brush each pastry with egg wash, sprinkle cinnamon and sugar mixture over each, and drizzle honey on top. 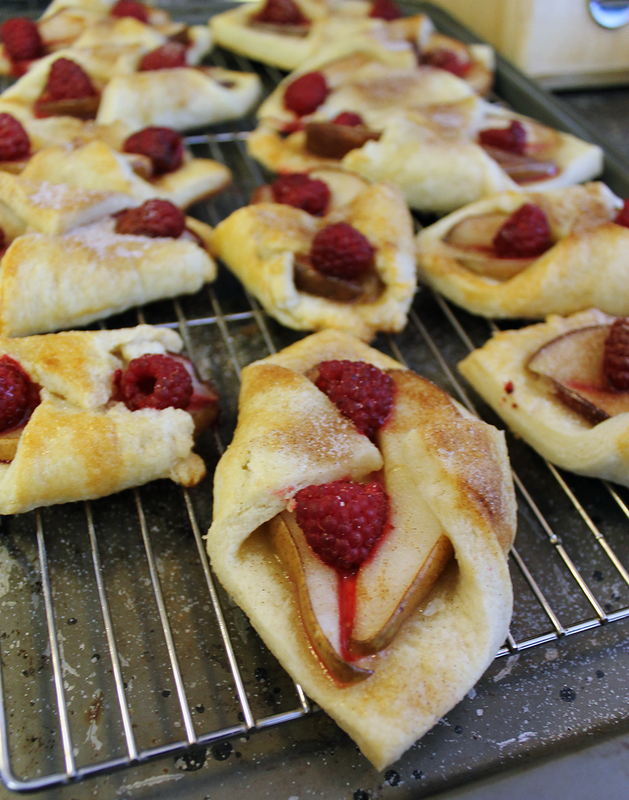 Bake for 15 minutes, then remove and add two raspberries to each pastry. Bake for 10 more minutes, or until the pastry is golden brown. ** You can buy puff pastry from your local grocery or make your own. 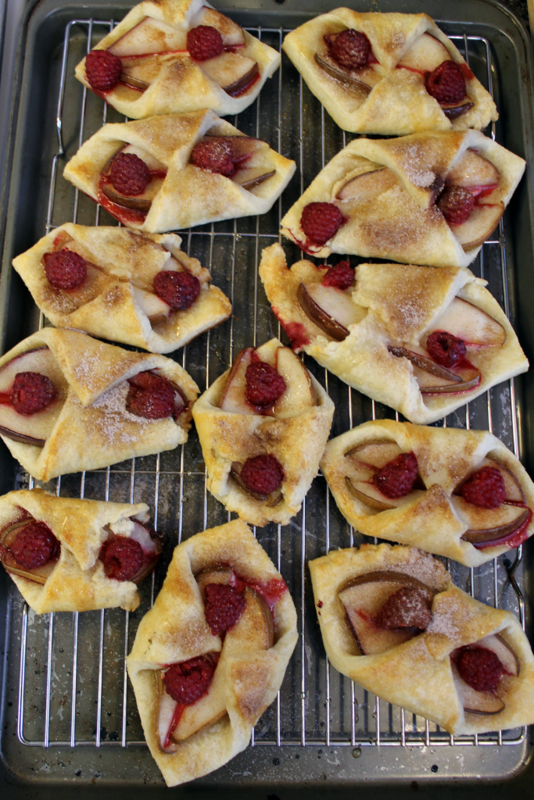 I made mine using this puff pastry recipe. Making it adds about 3 hrs to the process. If you decide to make your own be sure to allow time for the dough to come to room temperature, or it will be hard to roll out.